Antarctica | Wott's Up With That? “Antarctica Has Sea Ice Rabbit Ears, a V for Victory or Maybe It’s a Peace Sign?…” (2014-01-19). 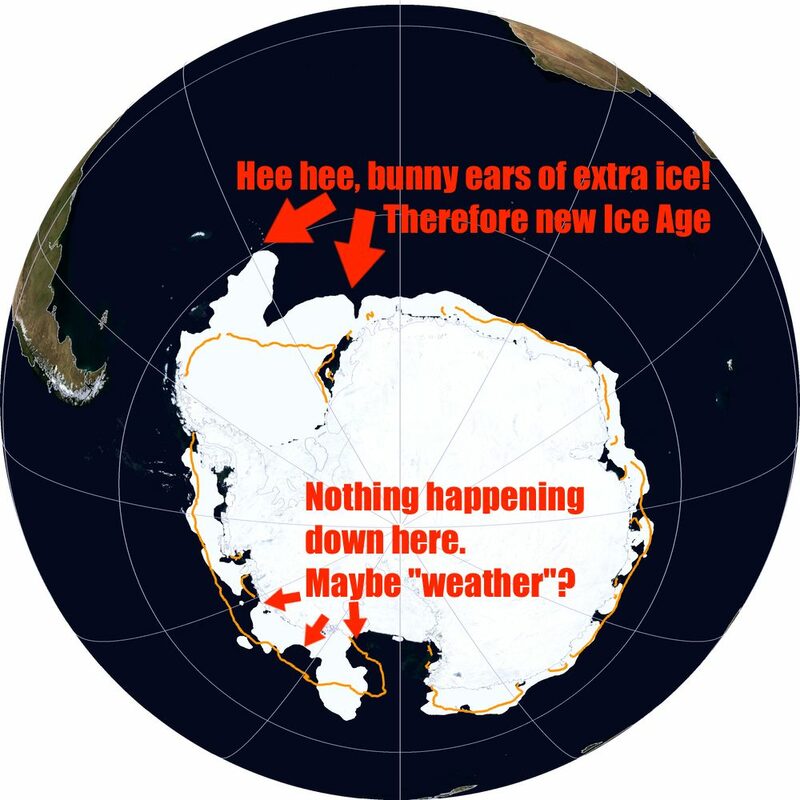 Anthony Watts’ friend “Just The Facts”, better known as “Just the Ignorance” has a keen scientific eye, based on no education whatsoever, and has noticed that Antarctica has bunny ears. Ice, anywhere, means cooling everywhere! Funny how “Just The Facts” manages to ignore so many of them. Maybe he meant just a fact, not the relevant ones. Do glaciers float when the reach the sea, for instance? Do they become thinner? Something for JTF to ponder.